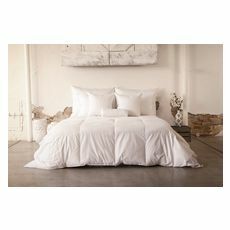 Our most popular, traditional comforter style: Rest easy with our most popular comforter: the Sequoia. Made with responsibly sourced white goose down, this traditional Hypodown style offers outstanding fill power, amazing loft, and luxurious fullness. Drift off in a cloud of comfort and wrap yourself in a better night's sleep.